good for you... I'm looking forward to Aevig Huldra mk2, Akura Wayfarer and the white Smiths Everest. I won't be able to back all of them so I'll have to choose. The Contrail SS Arctic White and Infinity Blue. PanKorop, Pneuma, thejollywatcher and 6 others like this. Any update on the Zelos GMT? Last thing I saw was Elshan showing off the aventurine dial on FB for the limited edition version. That was Mar 26. Tanjecterly and gormless like this. 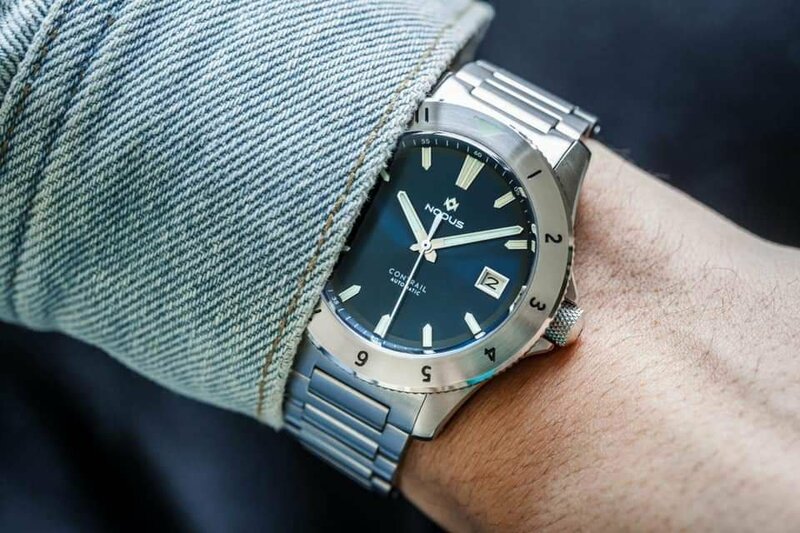 Is the 36mm everest with the smaller clasp / updated hands still being released? Tanjecterly and mconlonx like this. Woah. If they release a watch that looks like this -- reasonable size, reasonable price -- I will be so on board with it. Always have wanted one of those older Spaceview models. This would certainly scratch that itch. They mention that it's not quite like Seiko Spring Drive, but wouldn't it better be compared to the Kinetic mechanism? I know, still different, but closer to. grinta, MstrDabbles and AstroLaw like this. Tanjecterly and jon_huskisson like this. thejollywatcher, praetor47, Quincas and 3 others like this.